The Tree Kangaroo Conservation Program works with local communities in rural Papua New Guinea to protect the endangered Matschie’s tree kangaroo and the habitat in which it lives. The program helped to establish the country’s first and only nationally-recognized Conservation Area, and works with communities and government to address local needs including livelihoods, health, and education. We believe that sustainable conservation needs to address not only the needs of wildlife and the environment, but the needs of the local people as well. And that in order to make a lasting difference, the change must come from within those communities themselves. The Tree Kangaroo Conservation Program and the YUS Conservation Area serve as a national model for community-based conservation in Papua New Guinea, assisting the government in their efforts to protect the incredible diversity of wildlife and culture throughout the country. The Tree Kangaroo Conservation Program (TKCP) is the umbrella name for the partnership between the Woodland Park Zoo’s TKCP and TKCP-PNG, an independent non-governmental organization registered in Papua New Guinea. 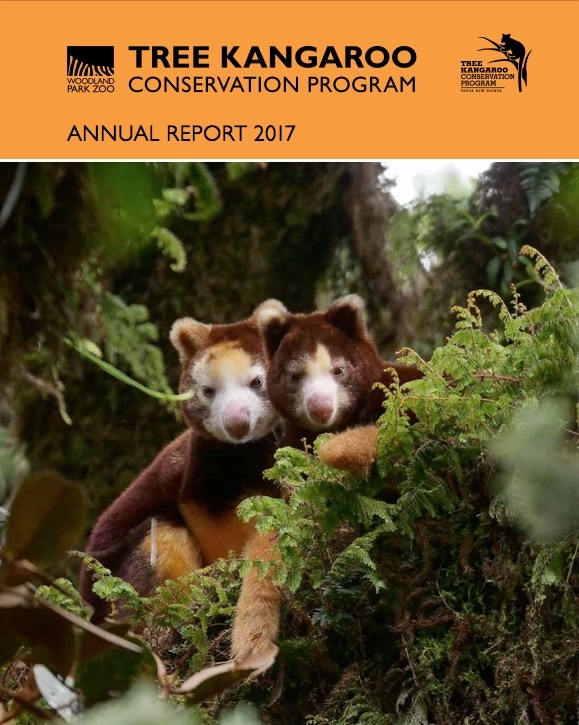 The Tree Kangaroo Conservation Program 2017 Annual Report is now available. The Tree Kangaroo Conservation Program fosters wildlife and habitat conservation and supports local community livelihoods in Papua New Guinea through global partnerships, land protection and scientific research. 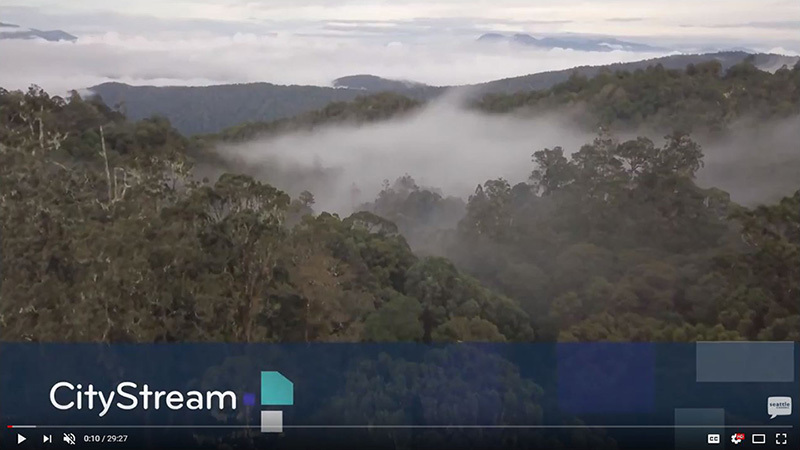 In collaboration with Woodland Park Zoo and Tree Kangaroo Conservation Program, wildlife documentary filmmaker Joe Pontecorvo produced this 10-minute look at what it takes to study tree kangaroos in the canopy of one of the world’s most remote cloud forests. With first-of-its-kind footage that follows tree kangaroos where no camera has ever been, our eyes are now wide open to what these animals truly need to survive. Experience the pristine cloud forests of Papua New Guinea and explore Woodland Park Zoo's renowned Tree Kangaroo Conservation Program with storyteller and friend of the animals, Penny LeGate and Seattle Channel. Discover endangered tree kangaroos, a community of conservationists and the surprising connection to a Seattle coffee company. Join Penny for this up-close look at our conservation in action! 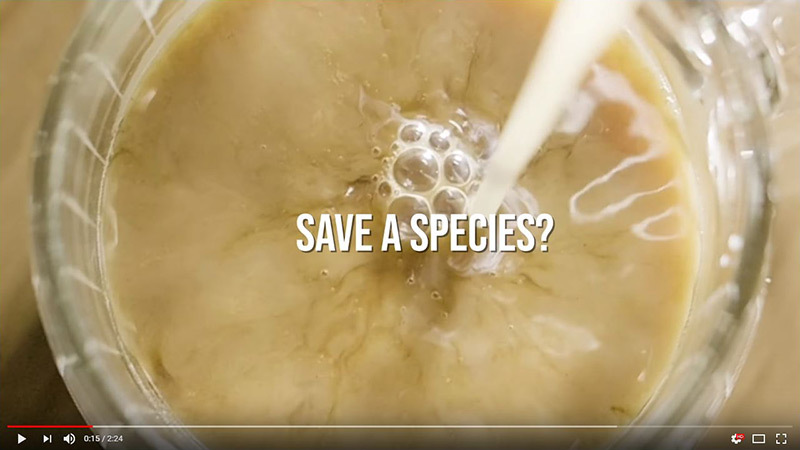 What if today’s cup of coffee could be a promise of tomorrow for a forest and all who depend on it? Fill your cup with tree kangaroo conservation coffee at Caffe Vita and Woodland Park Zoo, or get your beans online at zoo.org/coffee! In 2014, the Tree Kangaroo Conservation Program and its partner non-governmental organization, TKCP-Papua New Guinea, were awarded the prestigious United Nations Equator Prize in recognition of their holistic, community-based approach to habitat conservation. With the award, TKCP joined the United Nations Equator Initiative’s World Indigenous Network along with other innovative, community-led award recipient organizations. 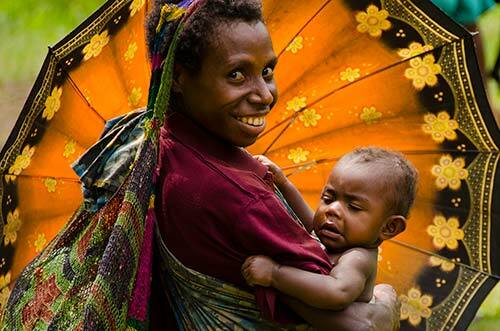 As the Equator Initiative seeks to recognize and advance local sustainable development solutions for people, nature and resilient communities, the initiative has recently published a case study of TKCP’s work in Papua New Guinea to share their approach throughout its global network. TKCP is honored to be featured and to contribute lessons to other community-based programs around the world. 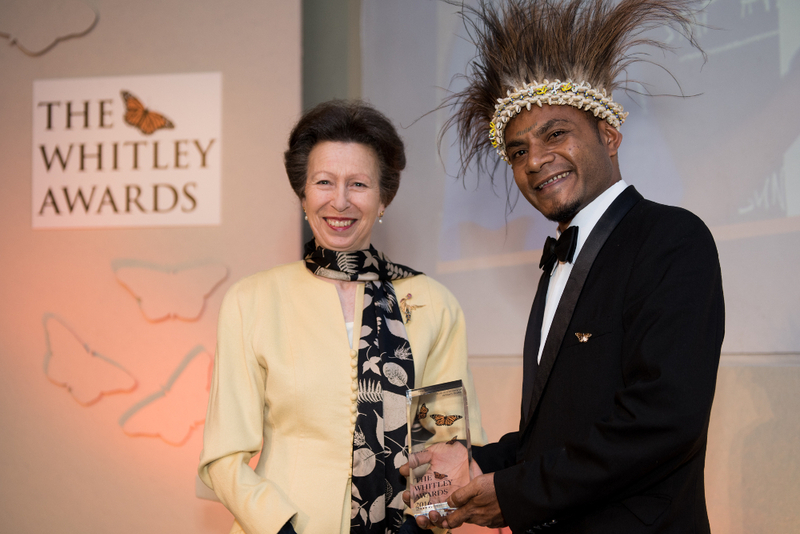 Congratulations to Karau Kuna, Tree Kangaroo Conservation Program conservation strategies manager and now winner of the prestigious Whitley Award, presented by HRH The Princess Royal in a London ceremony in April 2016. The award honors Kuna’s work to bring together local landowners to ensure protection of the Yopno-Uruwa-Som (YUS) Conservation Area in Papua New Guinea. With the award, Kuna will continue his work with communities and conservationists to develop sustainable land-use plans through 2020, serving as a model for the country.